Deck out your home base with art from the award-winning Halo video game series. 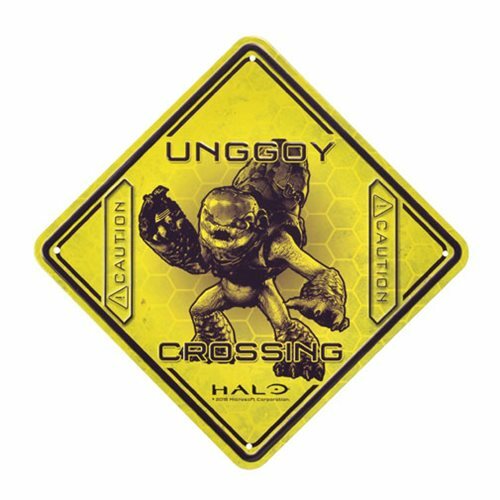 This full color caution sign warns of Unggoy's crossing and comes on a stamped and embossed tin. Complete with pre-drilled holes for hanging, the Halo Unggoy Crossing Tin Sign measures approximately 9 1/4-inches wide x 9 1/4-inches tall.